Choosing a college is often a family decision, as it impacts so many aspects of family life. You’ve raised a motivated and talented individual who wants to make a difference in the world, and you want to give him or her every opportunity to achieve his or her goals. That said there are a lot of factors to consider from academic programs to finances to career preparation to geography. To help you and your student learn more about George Williams College and make an educated choice, we’ve compiled some of the information most often requested by parents and guardians below. 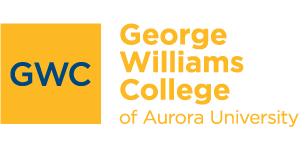 We also encourage you to contact us any time at 262-245-8564 or GWCadmission@gwc.aurora.edu for a personal conversation regarding your thoughts and questions about the college admission process. Choosing a college is daunting. There’s a lot to consider and to keep track of. This helpful guide will see you through. The no-frills nitty-gritty: Who we are, what we offer, and what we stand for. 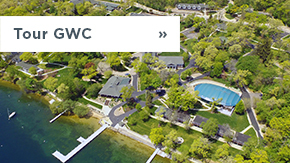 We’re a unique institution focused on making positive change in our local and global communities. Discover if we’re the right choice for your student. 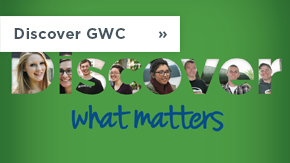 Read Thoreau by the lake, cross-country ski on campus and volunteer with the local community? 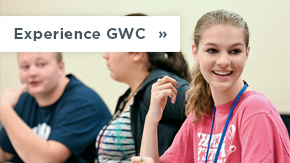 You’ll wish you could attend George Williams College yourself! It’s the first question on everybody’s mind. Find out how we make college affordable. Career Preparation and Networking It’s the second question on everybody’s mind: Will my student get a job? Learn how we help students graduate with a resume, not just a diploma. Williams Bay offers myriad outdoor activities in a quaint, small-town setting. It’s also perfectly poised between three urban cities: Chicago (two hours away) and Madison and Milwaukee, Wisconsin (one hour to each). We’re a close-knit community that looks out for one another. Read about how we keep students safe.